This huge race car, built during the first decade of the 1900’s, was manufactured in New York, USA. 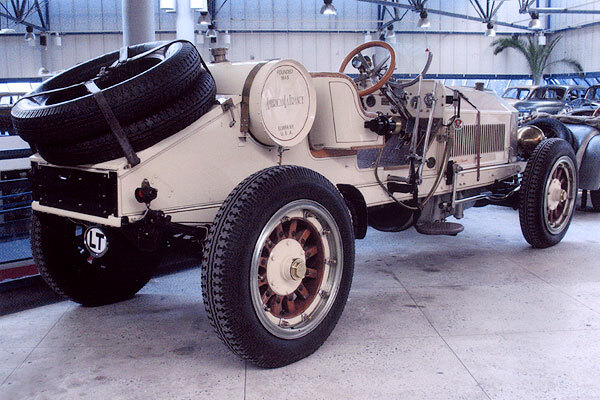 An enormous vehicle, it had a chain drive that was powered by a massive 14.5-liter-six-cylinder engine. This roadster-racer is powered by a four-cylinder side-valve engine, with 1157 ccm displacement and an output of 34 hp. It has a three-speed transmission, rear wheel drive, and electric windshield wipers, rather than the vacuum operated ones used in the previous models. 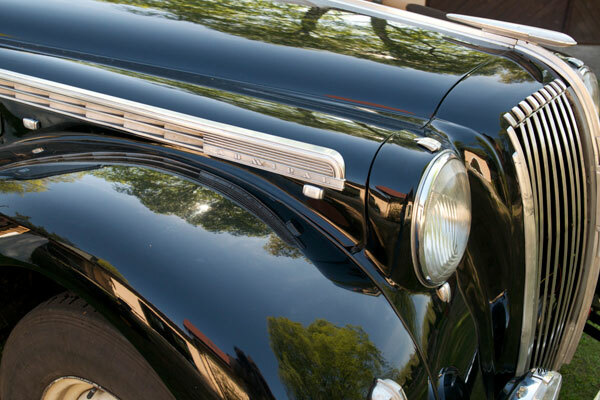 This Ford “Eifel” was the first model with attractively streamlined body designed by the “Gläser” coachbuilders of Dresden. 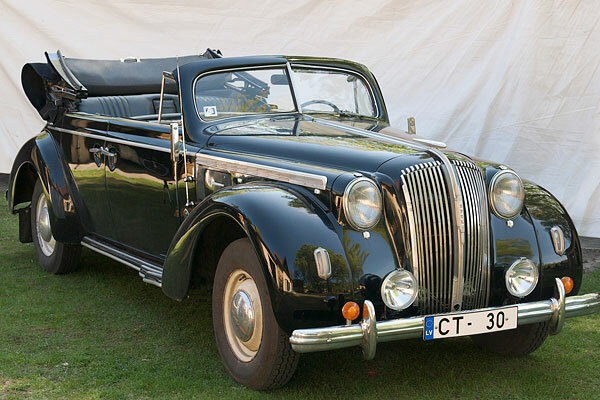 The production of the low-powered models such as “Köln” and “Eifel” was stimulated by the general economic recession in Germany, and they became the best selling cars. The inception of Wanderer dates back to 1885, but its production on large scale began only n 1913. 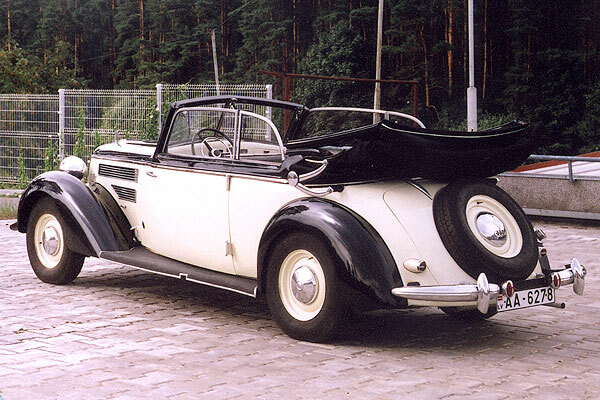 After joining the “Auto Union” in 1932, Wanderer was this manufacturing group’s second largest producer of cars. 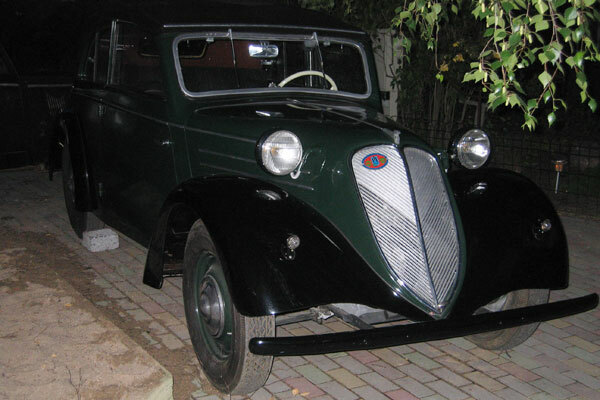 The production of Wanderer -50 began in 1936, and it was powered by a six-cylinder engine, with a body by the coach building company of “Gläser” of Dresden. 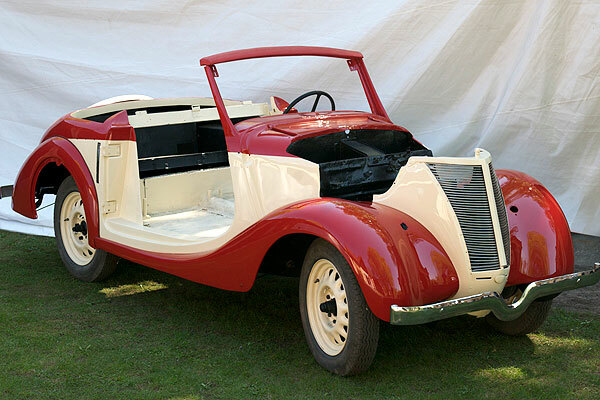 This, two-seater sport car, with aluminium body, was powered by a six-cylinder overhead-valve engine with three Solex-type carburetors. 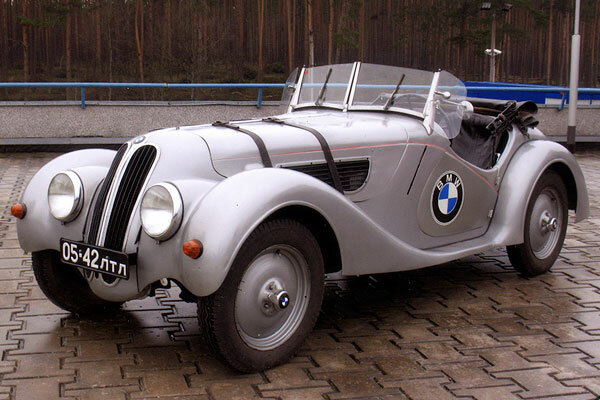 In the Le Mans race in 1939, the BMW 328 did very well in the two-liter class, and it took first place in Mille Miglia in 1940. It also “starred” in several movies produced by Riga Studios. 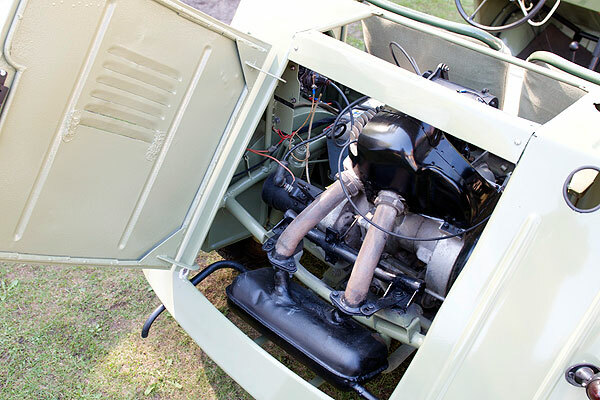 In comparison with MB-290 models, the MB-320 underwent following changes – it was given a slightly modernized frame and chassis, 3.2-liter, six cylinder engine, and a four-speed transmission. 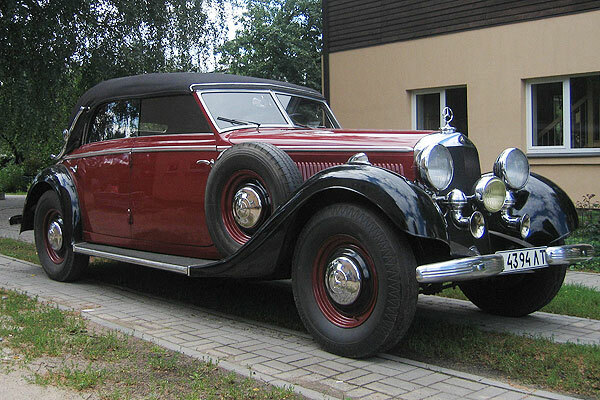 Mercedes Benz 320B cabrio, 1938. 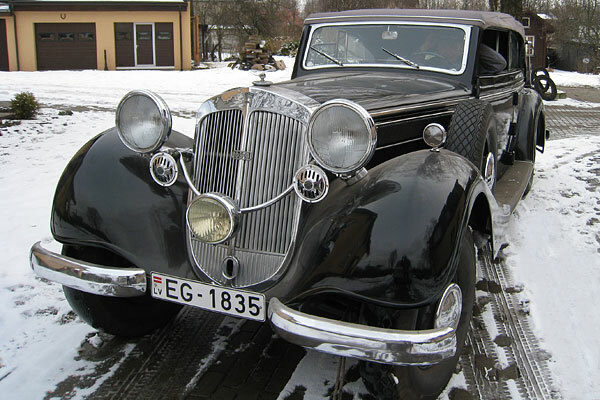 Horch 951A Pullman is a representational luxury limousine of the 1930’s, powered by a 120 hp, 5-liter, eight-cylinder, engine. 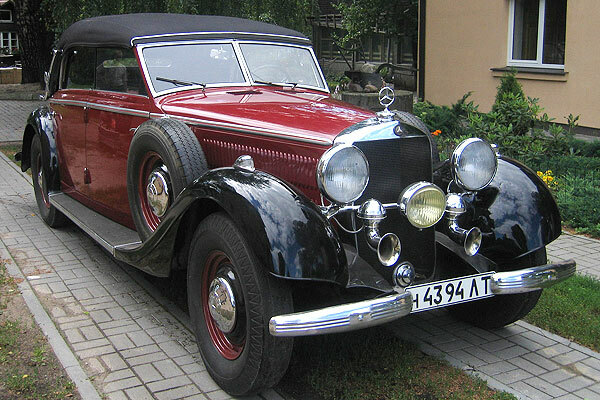 It was in production from 1937 to 1940. The elite coachbuilders “Erdmann & Rossi” of Berlin built, on special order (Nr. 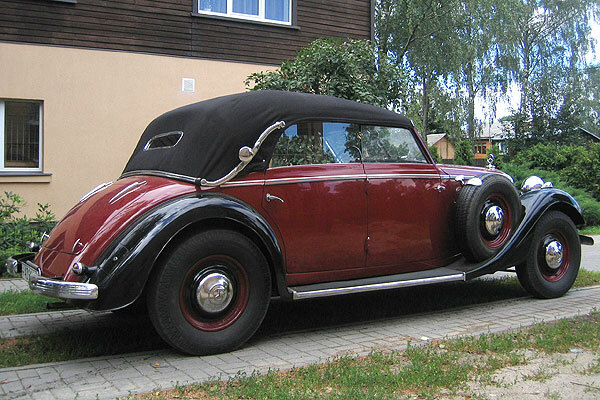 3126, dated 1938/23/08), a representational 5-seat convertible on a model 951A chassis for customer, Bolzani Eltwerke. 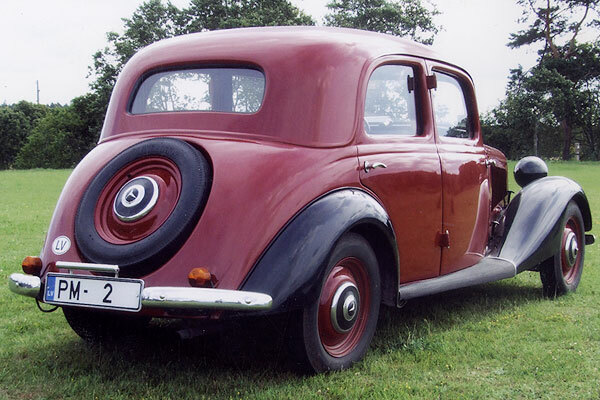 The first medium-sized 170V, manufactured by Mercedes Benz came off the assembly line in 1935 – a general purpose family car. It was the most popular one in its class, and by 1942, 74964 of them had been built. 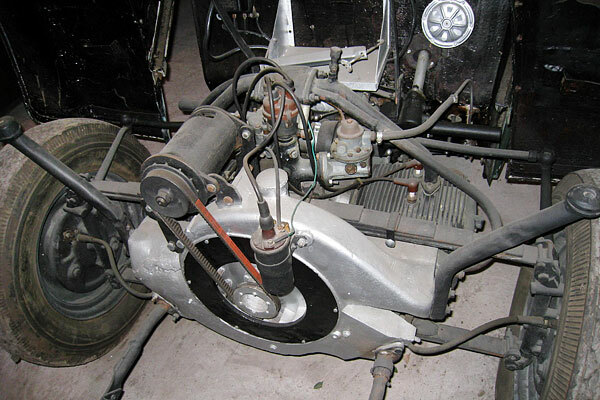 This small MB Type 170V, the best-selling car of its class in Germany, was powered by a four-cylinder engine, had gravity-flow fuel supply, improved oiling system and more robust clutch assembly. It was also equipped with a heater. 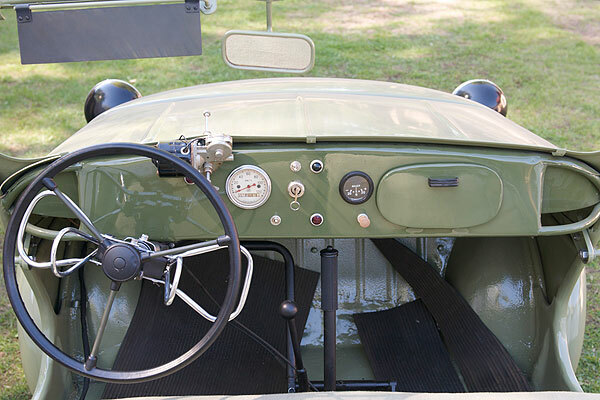 The cruising speed of the MB Type 170V was 95km/h. 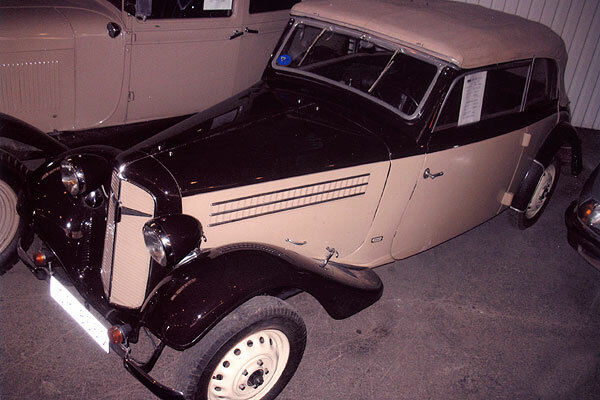 This model saw limited production, based on individual orders, and, in two year’s time, only 157 vehicles were made. 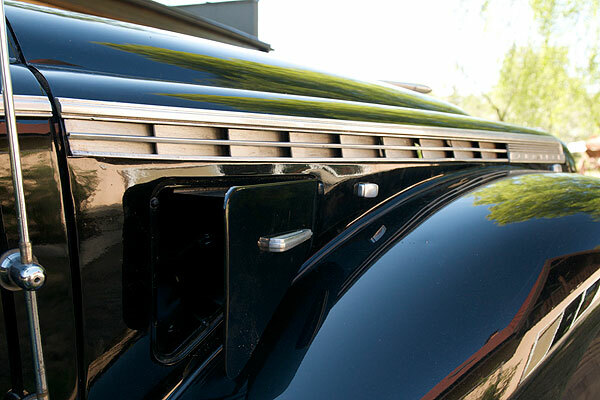 It was the client’s choice that determined the body style. 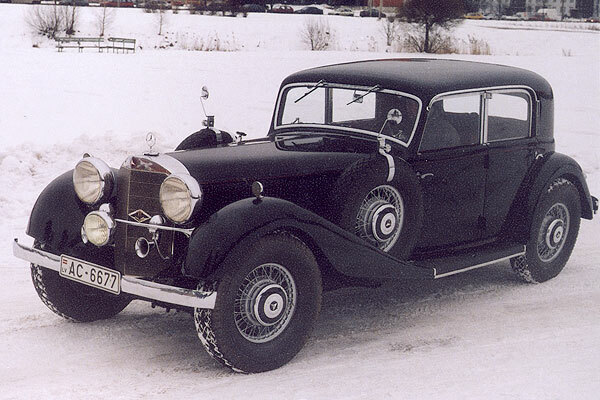 For example, on individual order by the German Minister of Heavy Industry, the “Sindelfingen” elite coachbuilders built a representational 5-seat limousine on the chassis of MB 380 that was powered by an 8-cylinder engine. “Opel” manufacturing company was established in 1862. 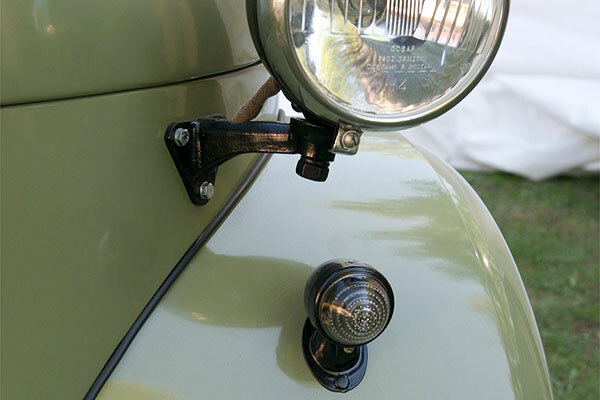 Initially, it manufactured sewing machines and bicycles, but in 1898 it began to turn out cars. 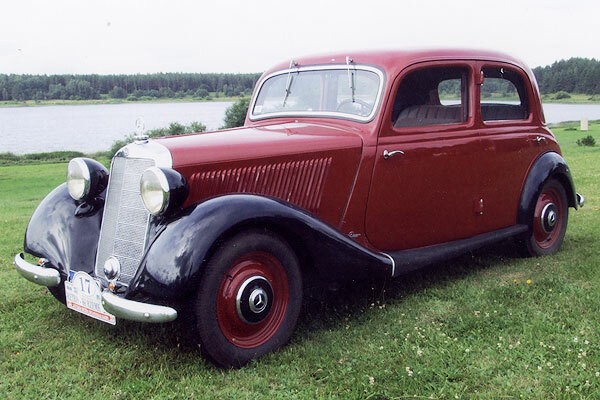 “Opel Admiral” was built between1937 and 1939. 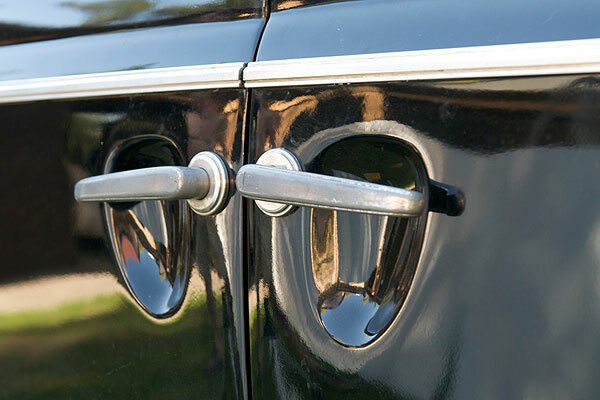 During this period, 6404 sedans and 2314 four-door convertibles were built. 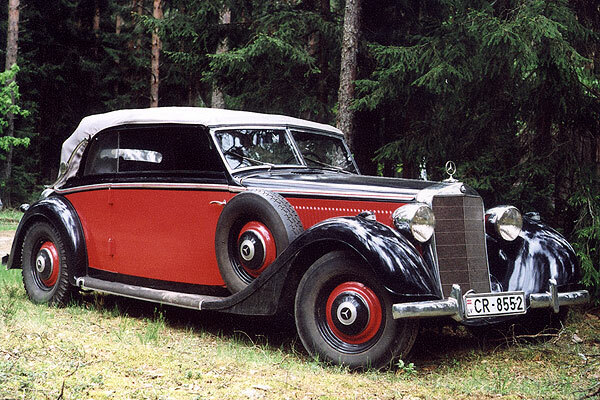 At the 1937 Berlin Auto-Show, the latter was considered to be among the most stylish cars – superior even to Horch and Mercedes models. Because of its elongated sloping trunk, it earned the nickname – the beaver tail. 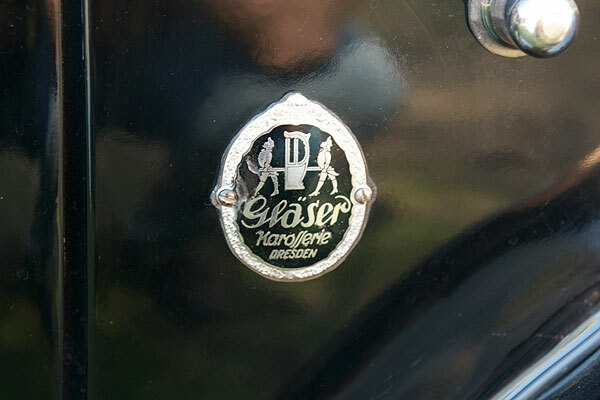 Its body was built by the coachbuilder “Gläser” of Dresden. 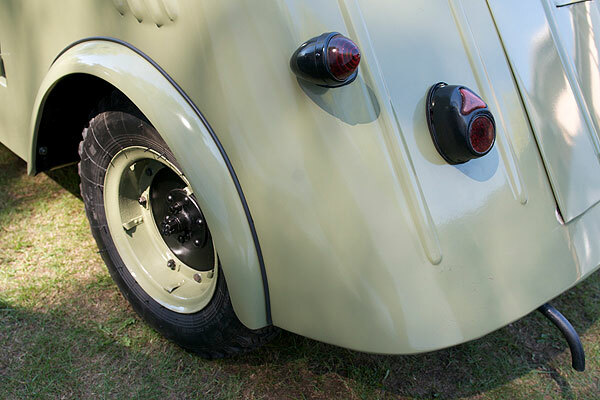 In November 1938, the car manufacturing association, “Auto Union,” converted its front- wheel-drive cars to the classic rear-wheel drive, equipped with the 6-cylinder Horch engines. 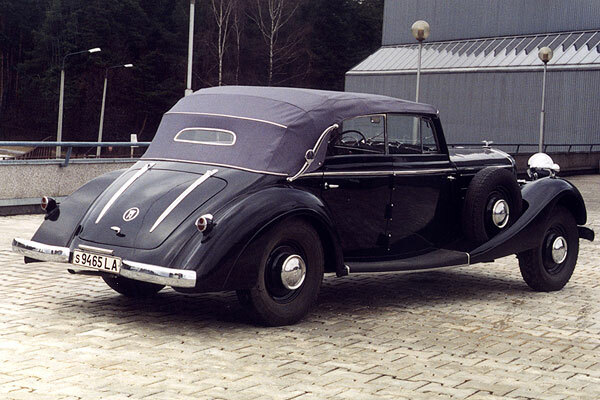 This, at the time, very advanced and technically successful model was initially meant to serve as the “small” Horch model, and its elegant convertible body was manufactured at the “Gläser” body works in Dresden where, in all, 818 units were built. 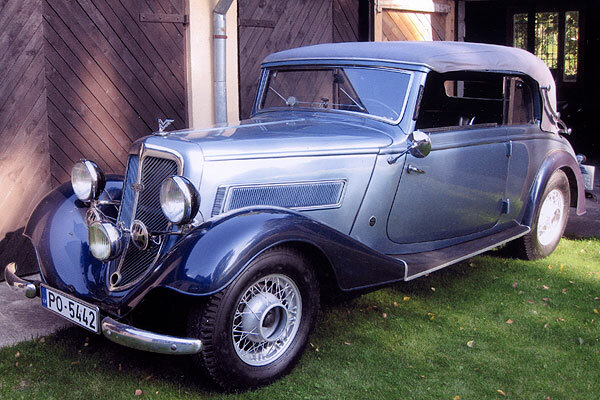 This front-wheel drive car was initially shown at the 1932 Geneva Motor Show. 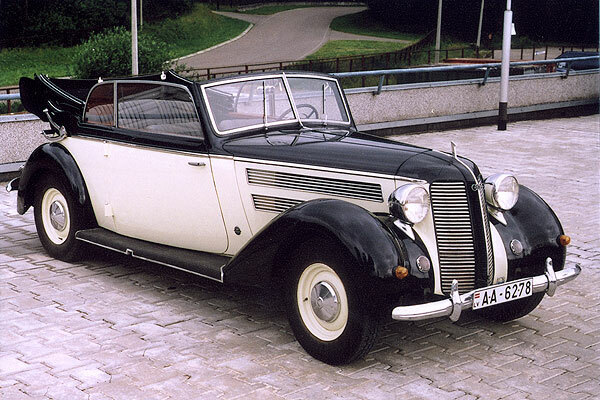 The Adler Trumpf was a top-of- the line a modern vehicle with advanced technology, and the body designed and built by Karmann. 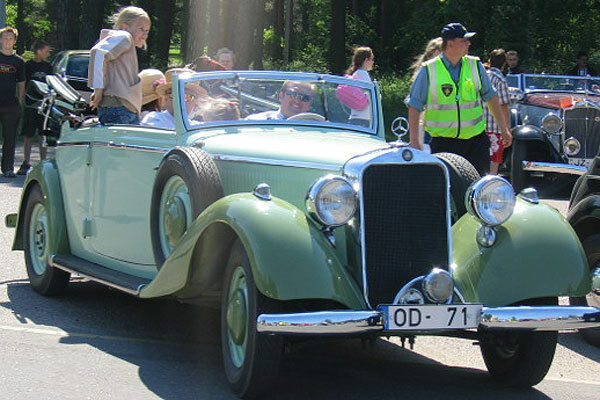 After the great success and popularity of the MB170 in the car market, another family car with a bigger six-cylinder engine was designed and produced. 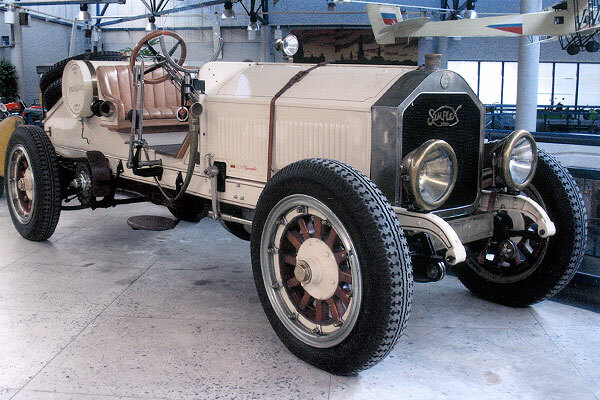 It differed from its predecessor by several progressive constructural refinements such as a square frame, independent suspension, and hydraulic brakes - all of which added to the driving comfort. It was reasonably priced and competitive for its time. 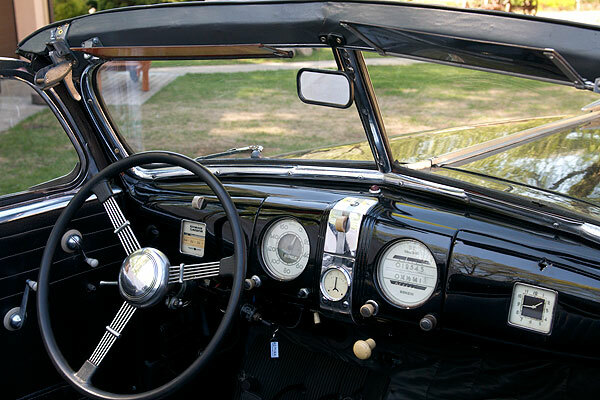 The MB 320 convertible was available in three different versions - models A, B, and D. The more expensive model A was the top of the line sports convertible. 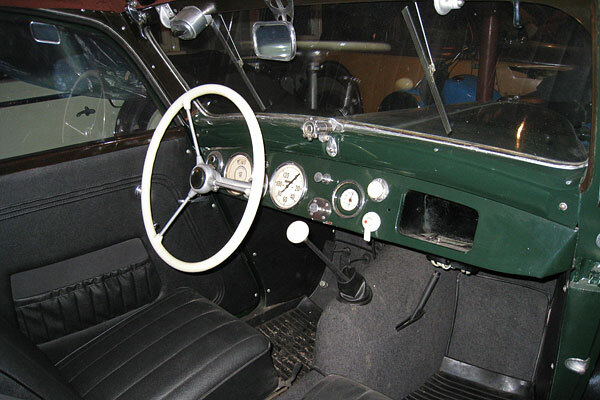 The B-model convertible had two doors, four windows and back seats. 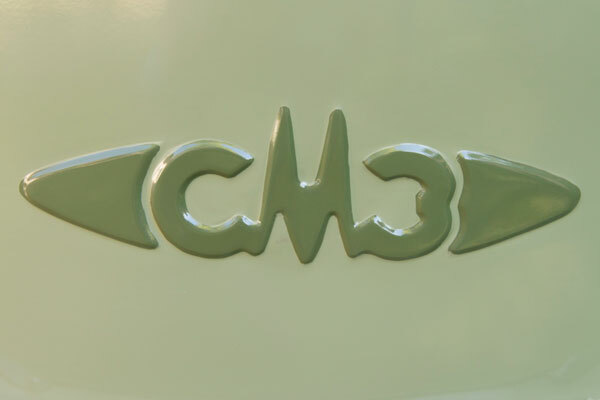 Finally, the D-model convertible came with four doors, four windows, and front and back seats. 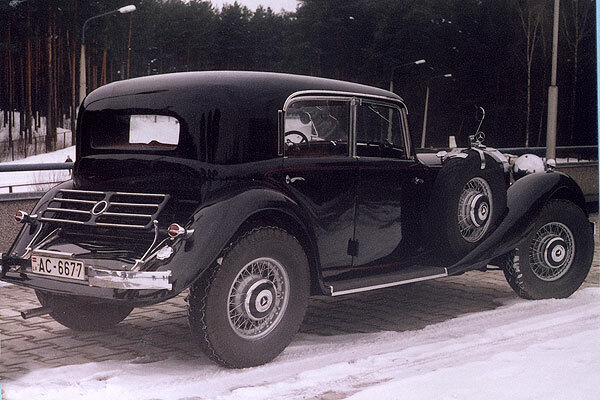 This car was manufactured in Serpukhov, Russia (SMZ stands for “Serpukhov Motorcycle Farctory”). 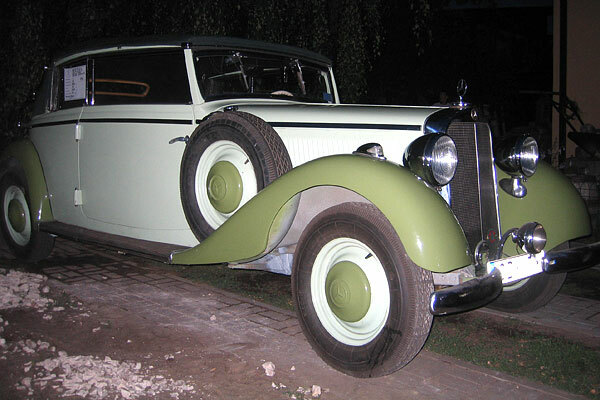 This car was conceived to serve disabled drivers and was given to them, either free of charge or with a large discount, through chanels of the social welfare system. In general, it was not available to individuals without disabilities. 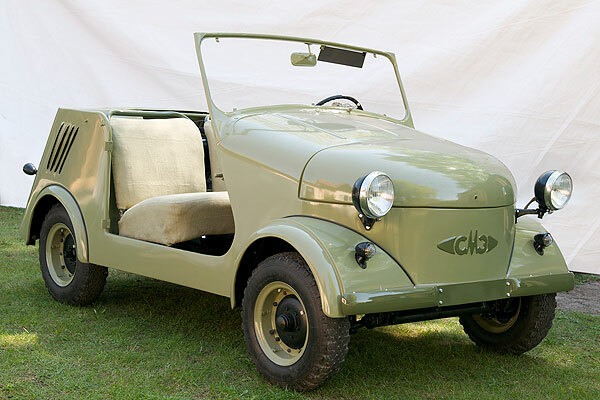 This SMZ-3A two- seater was powered by a 10 hp, 346 ccm, and two-cycle engine. It served as a prop in the famous Soviet era movie “Operatsija Ы i drugie prikljuchenija Shurika”. 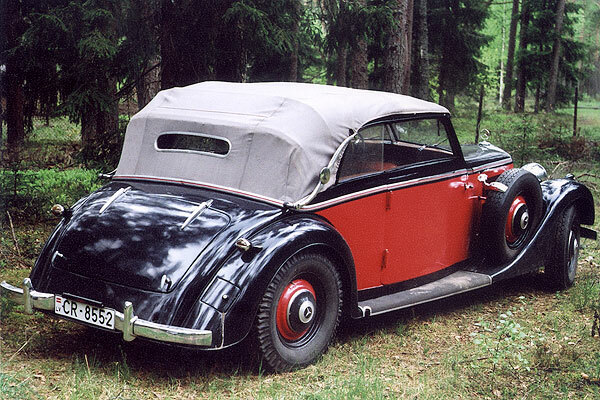 Production of the TR series began in early 1950’s, in competition with the MG in the very intense US export market. The simple, attractive, and small sports car caught the eye of the American consumer, and soon it became the company’s biggest money maker. In 1969, it was replaced by TR6 which, to keep pace with changing times, was given a more modern body by Karmann of Germany. 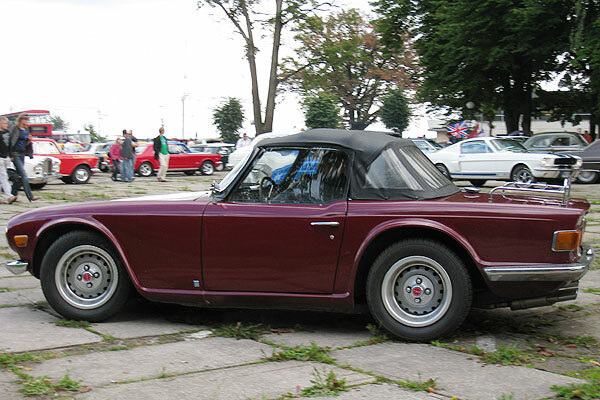 As with previous TR models, the TR6, too, was largely sold on the North American market. Production of this model continued until 1976. 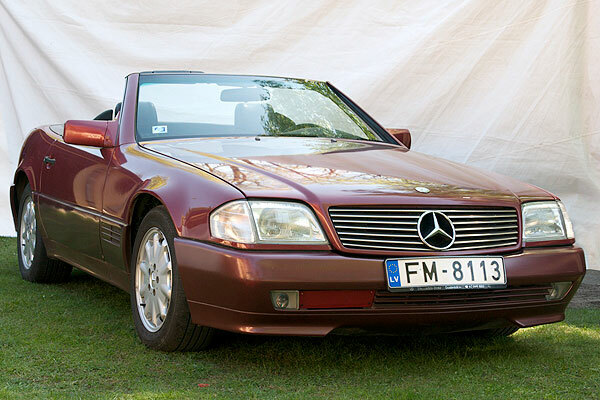 The MB 129 convertible was among the most attractive and expensive sports roadsters built between 1989 and 2001. The beginning factory sticker price was $150,000, and, what’s more, one had to wait for delivery for about a year. 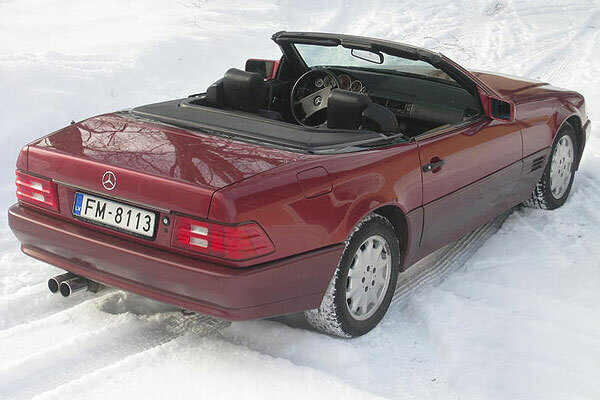 The MB 129 convertible is powered by a six-cylinder gasoline engine, has light-alloy rims, leather interior and mobile phone, including a hard-top roof for use in winter.